I have a hard time reading poetry silently. When I’m reading it in my mind, my eyes tend to skip over the words like stones on water. But aloud – that’s a different story. 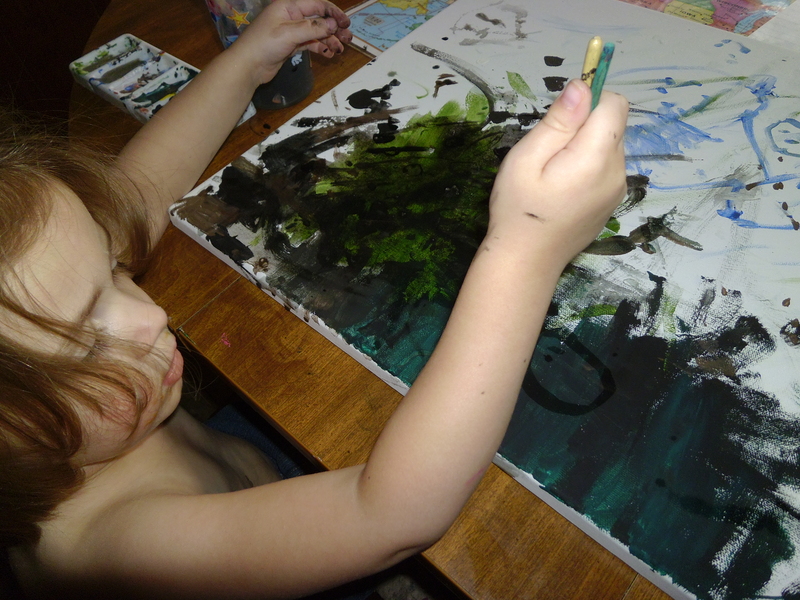 Nothing calms us faster in my house (the kiddo and I) than poetry, painting, and a little Alt-J in the background. I don’t know how I survived sadness and melancholy before Alt-J was a part of my world. 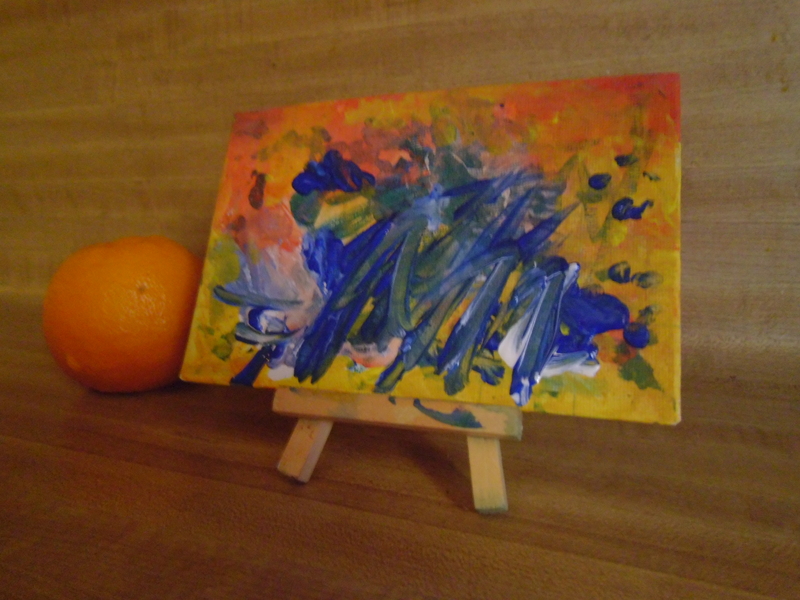 The latest masterpiece – age 3. 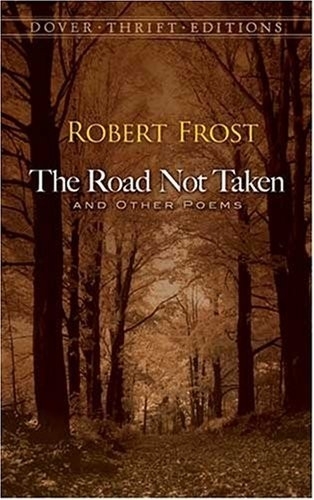 This week we read through a Dover Thrift Edition of Robert Frost: The Road Not Taken and Other Poems. Like most people, kiddo will probably be far more familiar with The Road Less Taken than any of Frost’s other poetry. We don’t just read it out loud when we paint, but out on the trails in the woods too. Poetry is appropriate for painting, Frost is great while tromping on leaves. He just has a woodsy feel to him. Starting a new piece during a poetry day.